On July 22, 1985, the U.S. Environmental Protection Agency (EPA) approved and the state of Idaho has since maintained primary, state regulation and enforcement authority (primacy) over all five classes of injection wells in Idaho, under the Safe Drinking Water Act, section 1422, through the Idaho Department of Water Resources (IDWR) Underground Injection Control (UIC) program. Because 1985 Idaho regulations prohibited Class II, oil and gas wastewater injection wells in the state, this ban was codified in those EPA rules. In 2013, the Idaho Legislature passed laws allowing these wells. But during 2017 Idaho legislative hearings on oil and gas bills and rules, Idaho Governor Otter became aware that the lack of state government oversight of Class II injection wells was delaying oil and gas development in the Treasure Valley. IDWR has not issued any Class II well permits, because the EPA has not approved the state’s proposed changes to its Class II, UIC program. On August 25, 2017, the EPA received a letter from IDWR, formally requesting transfer of its responsibility for managing Class II, oil and gas wastewater injection wells in Idaho to the EPA. According to the EPA’s November 2017, Federal Register notice of this proposed rule revision, state-administered, Class II injection wells remain illegal in Idaho, under federal law [1-3]. Idaho agency efforts to uncharacteristically and aggressively transfer authority over Class II wells in our fifth most seismically active state to the EPA, headed by oil and gas industry friend and former Oklahoma attorney general Scott Pruitt, seem like thinly veiled attempts to again hastily accommodate corporate profits at the expense of Idahoans’ public and environmental health. Instead of conscientiously updating Idaho’s injection control program, the state is calling for this transfer of responsibility to the EPA, to facilitate cheaper, underground disposal of oil and gas drilling byproducts than in evaporation ponds near the Boise Airport, as soon as possible. IDWR is thus side-stepping the existing, three-decade ban of Class II injection wells, risking and polluting Idaho groundwater and seismic stability, and circumventing both impacted, Idaho citizen review of Class II injection well regulations and lawsuits against the state for any damages resulting from these wells . As suggested by state agency presentations on Class II wells, given to the Idaho Oil and Gas Conservation Commission on December 7, 2017, the Texas company currently producing oil and gas in Idaho’s Treasure Valley, Alta Mesa, may request Safe Drinking Water Act exemptions of precious, water aquifers for its injection well program, and use already drilled, shut-in, (and defective? ), hydrocarbon wells in Payette County, such as the DJS 2-14 well . “Injection wells – which involve the high-pressure, underground dumping of millions of gallons of frack wastewater, which contains toxins, carcinogens, and other chemicals – cause earthquakes, can contaminate drinking water, and bring other environmental and public health impacts” . In Oklahoma, insurance policies neither covered nor did anything to assist residents and businesses suffering huge losses from earthquakes, because the jolts were created by the oil and gas industry injecting massive quantities of wastewater and ‘produced’ water, laced with heavy salts, toxic chemicals, and radioactivity, directly into their aquifer, drinking water sources. “In a normal year – that is, in almost any before 2009 – the state only saw one or two quakes. It now experiences one to two quakes per day. In 2015, it endured 857 earthquakes with a magnitude of 3.0 or higher, more than struck the rest of the lower 48 states combined” . The EPA, Pulitzer Prize-winning journal ProPublica, popular videos, and others have all documented the inherent risks of Class II injection wells [8, 9]. Based on decades of observations and interactions with Idaho agencies and natural resource issues, Wild Idaho Rising Tide (WIRT) activists do not necessarily agree that Idaho regulations would protect clean air, water, and lands, potentially degraded by Class II, oil and gas waste injection wells, better than federal agencies like the EPA . But together, we, the people of Idaho, should not condone any local, state, or federal government or private company overturning the ongoing ban on Class II injection wells in Idaho, and thus let corporate forces once again elevate the rights of fossil fuel companies over the communities they violate with innumerable, significant harms. WIRT suspects that any agency permitting Class II, waste injection wells could open the toxic floodgates for oil and gas well stimulation treatments like hydraulic fracturing (fracking) in Idaho, and its profuse use and pollution of our relatively pristine water. In the high-desert environment of the rapidly growing, Treasure Valley population, where communities depend on clean water-based agriculture and recreation for their economic sustenance, we cannot afford to risk or waste underground water supplies also challenged by a warming, drying climate. IDAHO WATER IS LIFE! FORCED POOLING IS DEATH! Please join Wild Idaho Rising Tide (WIRT) and allies at 8 am MST on Wednesday, December 14, for the Payette County Forced Pooling Protest on the Idaho Capitol steps at 700 West Jefferson Street in Boise, Idaho. 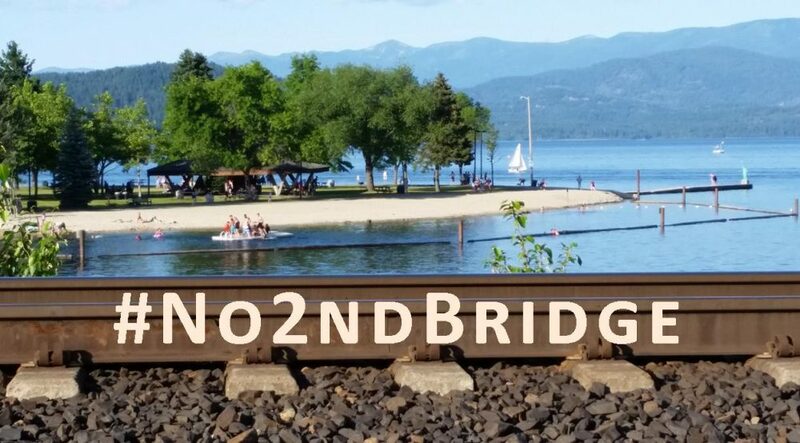 Concerned citizens from throughout Idaho are coming together to stand in support of over 150 Payette County families and home, property, and business owners whom the state of Idaho and a Houston, Texas-based fossil fuel producer are pushing into oil and gas leases for integration, or “forced pooling,” of their private resources [1, 2]. Alta Mesa Idaho (AMI) integration applications to the Idaho Oil and Gas Conservation Commission could impose extraction of Idahoans’ oil and gas, with or without their permission, from three new wells, and perhaps many more, on two adjacent, one-square-mile sections of land and another, smaller tract in and near the Fruitland community. With state approval, Alta Mesa and other toxic intruders could directionally drill, hydraulically fracture (“frack”), and chemically “treat” these wells beneath and only 200 feet on the ground from a few hundred subdivision homes and other structures like schools and hospitals, and under, next to, or within less than a mile of the Snake and Payette rivers and their wetlands and floodplains, and below already leased U.S. Highway 95 (See the attached photos of spacing units). 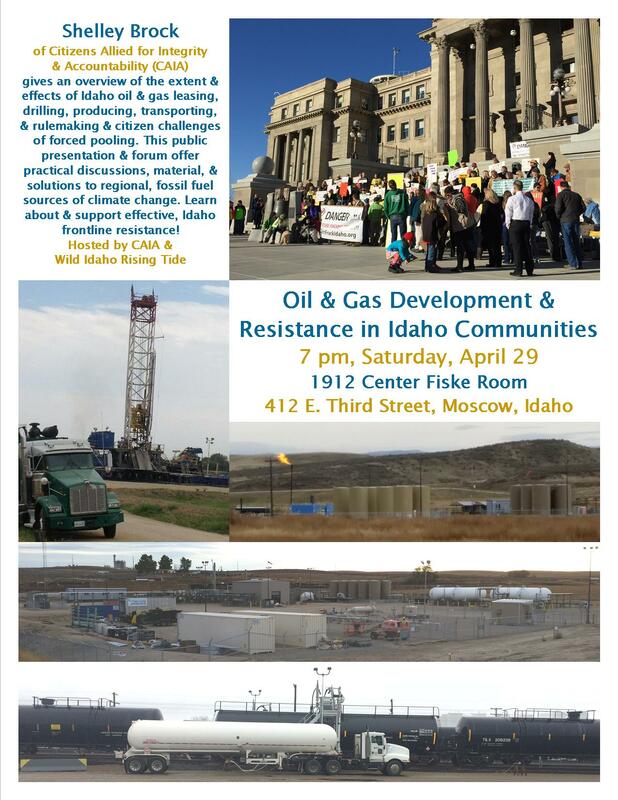 At 9 am on Wednesday, December 14, the Idaho Department of Lands (IDL) is holding the first administrative hearings on contested AMI forced pooling applications since the Idaho Legislature passed SB1339 in March 2016, the egregious statute that changes and rushes the integration process to benefit the oil and gas industry and trample citizen rights anywhere in the state. The advocacy group Citizens Allied for Integrity and Accountability (CAIA) has retained constitutional law attorney James Piotrowski, of the law firm Herzfeld and Piotrowski, to represent a group of unwillingly integrated, officially objecting, Payette County mineral owners [3, 4]. In the Lincoln Auditorium, Room WWO2 in the lower level of the Idaho Capitol west wing, integration objectors will challenge the legality of the proposed spacing units and of IDL’s due processes that afford impacted landowners insufficient time and information to consider forced pooling applications and to consult attorneys, banks, and insurance companies about the adverse financial consequences of integration on property rights, values, mortgages, and insurance. Thanks to the 25 protesters of the second Bureau of Land Management (BLM) auction of oil and gas leases of public lands and resources in Payette County on Wednesday morning, July 27 [1-5]! Some journeying hundreds of miles across Idaho, enthusiastic participants from five groups – Citizens Allied for Integrity and Accountability, Great Old Broads for Wilderness, Idaho Chapter Sierra Club, Idaho Residents Against Gas Extraction, and Wild Idaho Rising Tide – met at 8 am MDT near the intersection of West Overland Road and South Vinnell Way in Boise, then held a climate justice rally with signs and banners outside the BLM Idaho State Office. 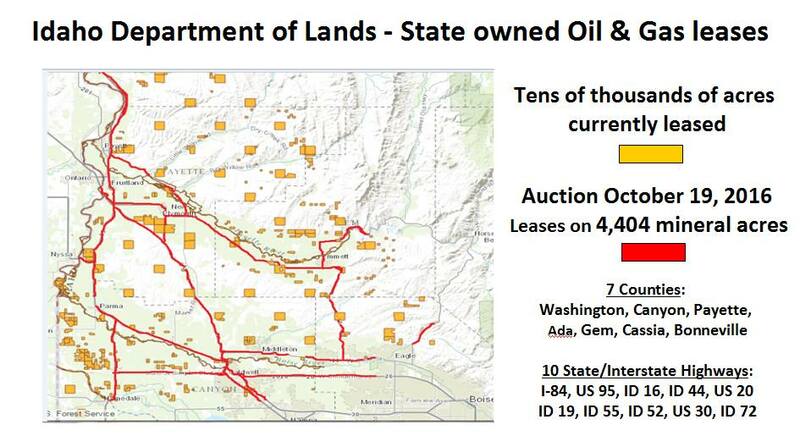 Along with Payette County residents, many of the involved activists have been objecting to oil and gas development in the Treasure Valley since 2010, and confronting previous state and federal oil and gas lease auctions since April 2013. The Boise channel 2 television station, KBOI, sent a cameraman/reporter to the five-group protest of the BLM auction; organizers have requested footage of the resulting brief coverage during the July 27 evening news. This public demonstration joined similar Keep It in the Ground rallies in Lakewood, Colorado, Reno, Nevada, Roswell, New Mexico, and Salt Lake City, Utah, as part of a growing national movement urging President Obama to expand his climate legacy and stop all new oil and gas leases on public lands, as he did with coal leases. 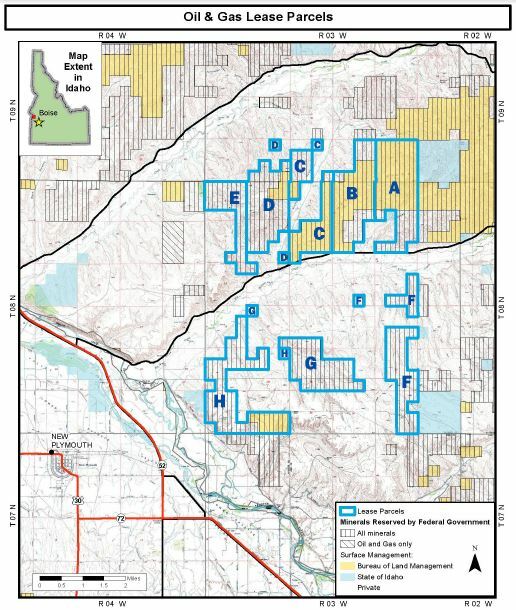 With their peaceful civil disobedience in Boise, concerned Idaho citizens sought to halt the BLM sale of leases on 9,242 acres of Sheep Ridge lands near producing and plugged oil and gas wells around Big Willow Creek, seven miles north of New Plymouth, Idaho . They contributed toward a courageous display of public resistance to Payette County oil and gas invasions, while demanding the end of fossil fuel leases to dangerous extractive industries on federal lands in beautiful Idaho and across the West. With “soft” cloth signs and banners created to avert the BLM restriction on “hard” protest signs allowed in the building, the protesters were shocked and disappointed to learn during the initial rally that this auction of oil and gas leases of public lands did not welcome the public. The BLM planned to bar citizens from the bidding process in the Sagebrush Conference Room, and had prepared a separate, monitored room for viewing of livestreamed video coverage of the auction. So the protesters circled and organized their tactics on the lawn outside the federal building hosting the BLM, other federal land management agencies, and the Department of Homeland Security. Most of the protesters who entered the BLM office suite presented photo identification and signed in as visitors of the auction and action. Dozens of them occupied the observation room, while bidders and others arrived in the nearby lobby and signed in to the auction that began at 9 am. A subversive group of auction opponents unfurled their soft signs saying “Keep It in the Ground” and stood together for photos in front of the closed circuit televisions. During the 45-minute auction that concluded with the auctioneer’s quip “Thanks for playing,” the protesters watched and took notes, photos, and videos of the BLM auctioning off eight leases for fossil fuel extraction from thousands of acres of public and private lands, for as little as $2 per acre from only two bidders. On Monday, March 7, at 6:30 pm, Citizens Allied for Integrity and Accountability (CAIA) is hosting a talk/presentation by the former mayor of Dish, Texas, Calvin Tillman, entitled How Will Oil and Gas Activity Change Your Community?, at the Lincoln Auditorium in the Idaho State Capitol, 700 West Jefferson Street in Boise, Idaho [1, 2]. Currently an Aubrey, Texas, city council member, Mr. Tillman will share his years of direct experience with oil and gas development, as an elected official and impacted father and homeowner. Please see the attached flyer for further information about this event that Idaho Public Television will livestream at this link, for Idahoans and friends to watch it on their computers .